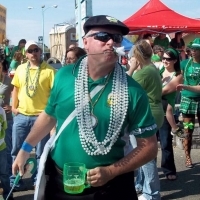 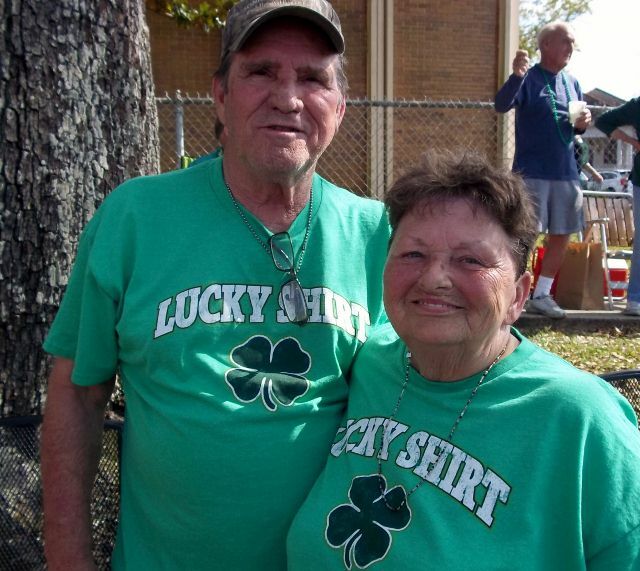 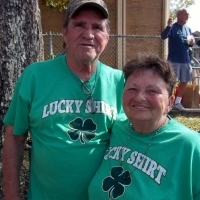 We have lots of folks of Irish ancestry in New Orleans. 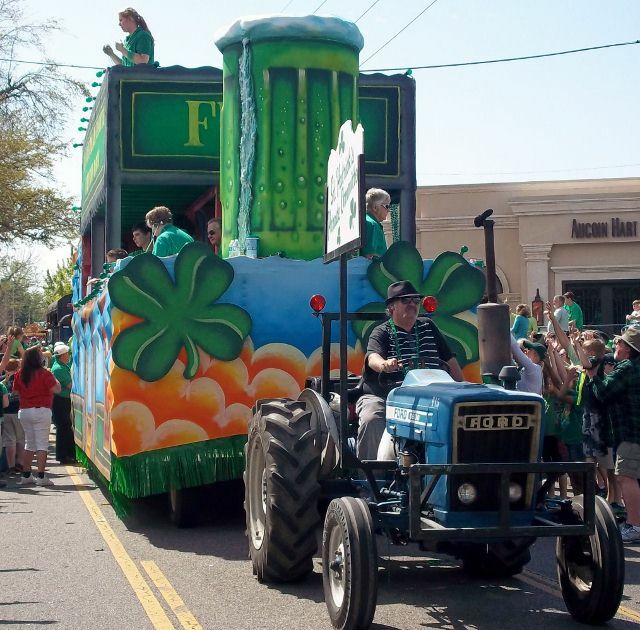 Irish immigrants in the 19th century dug the canals that drain the city, and we will forever be grateful for their backbreaking contributions. 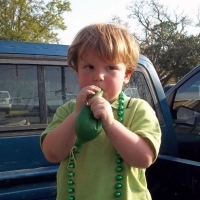 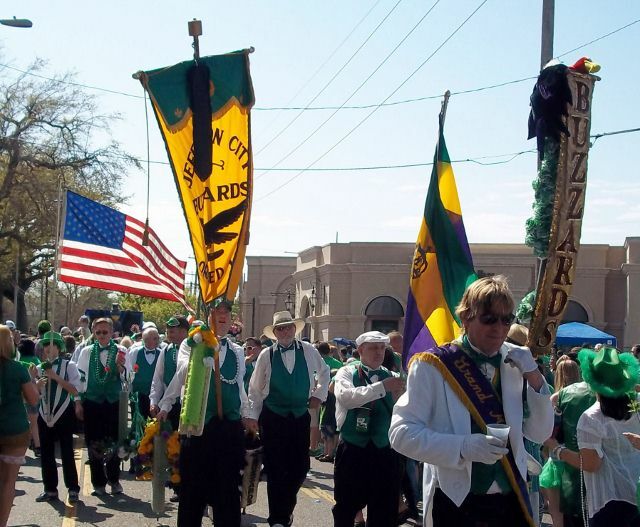 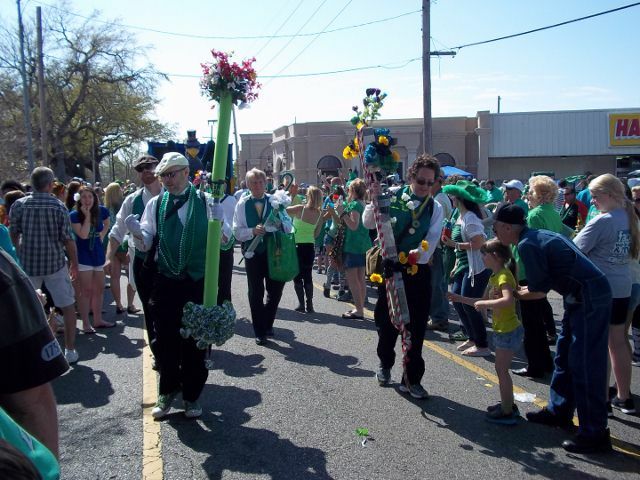 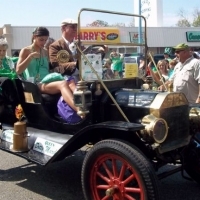 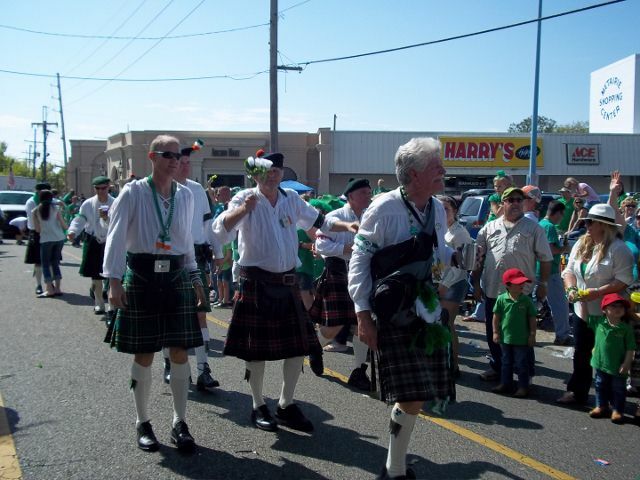 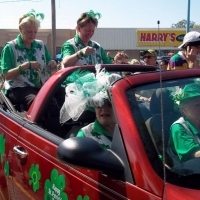 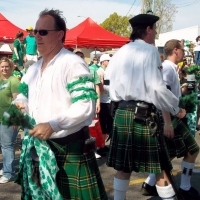 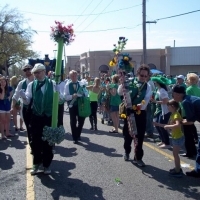 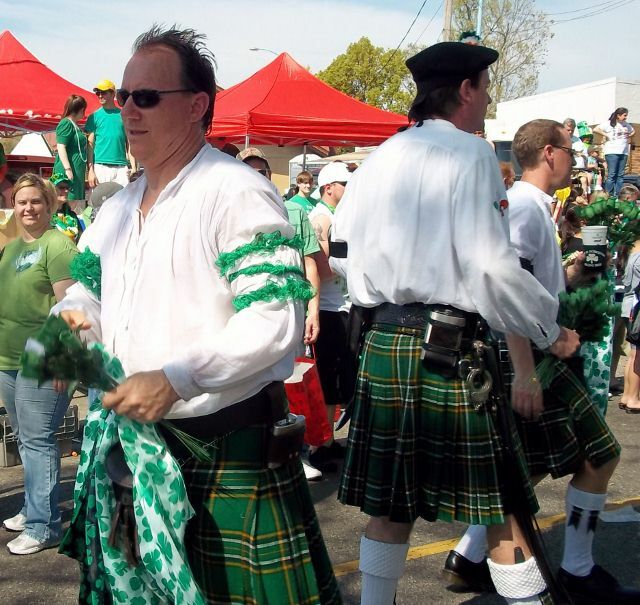 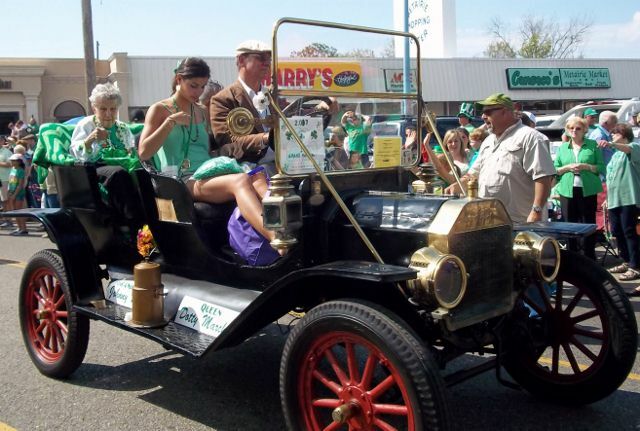 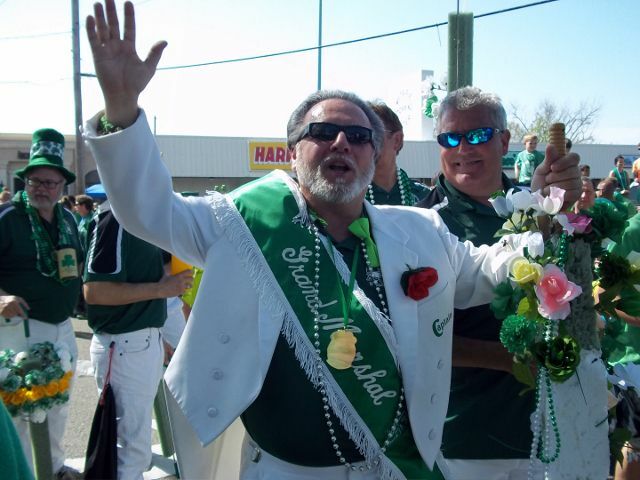 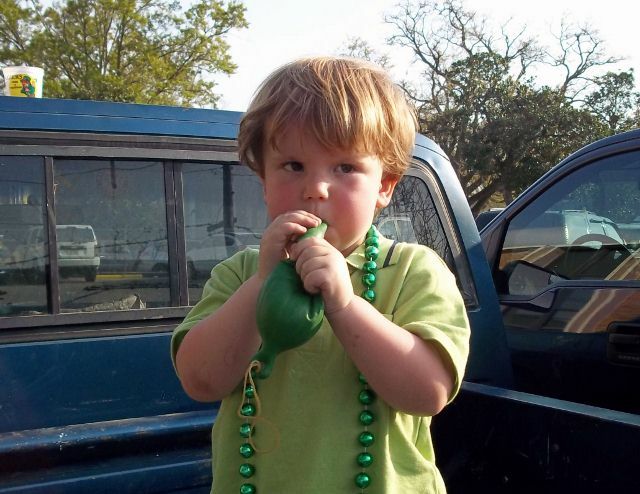 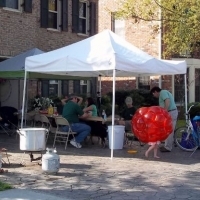 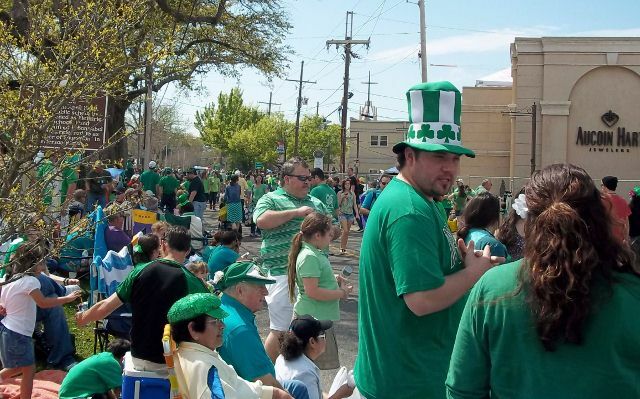 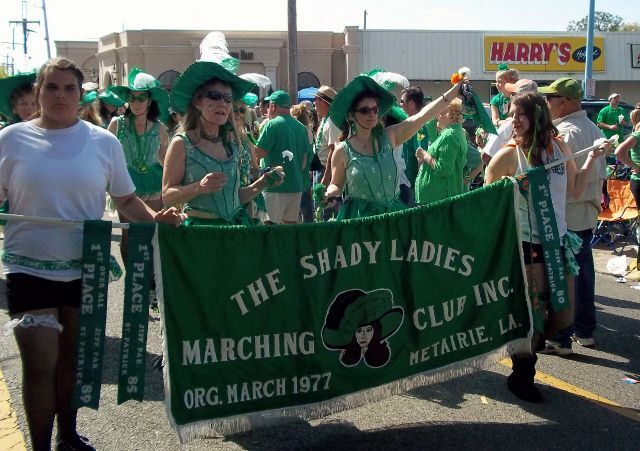 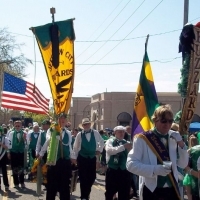 It is no surprise that we celebrate St. Patrick’s Day with not one, but four parades – Uptown (starting in the Irish Channel), Metairie (an adjacent suburb), and two in the French Quarter/Downtown area. 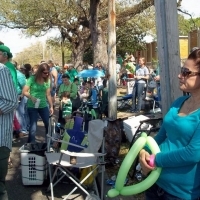 Yesterday I put on my green T-shirt and fuzzy headband with shamrocks on springs and headed for a party in the ‘burbs. 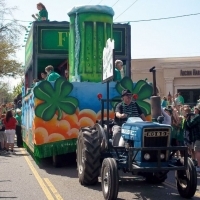 These parades are not known for their artistic merit. 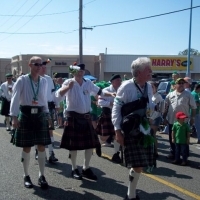 They are a great place to watch the antics of the marchers (who typically have consumed a bit of beer), hang out with friends, and most importantly, to catch the complements to your corned beef. 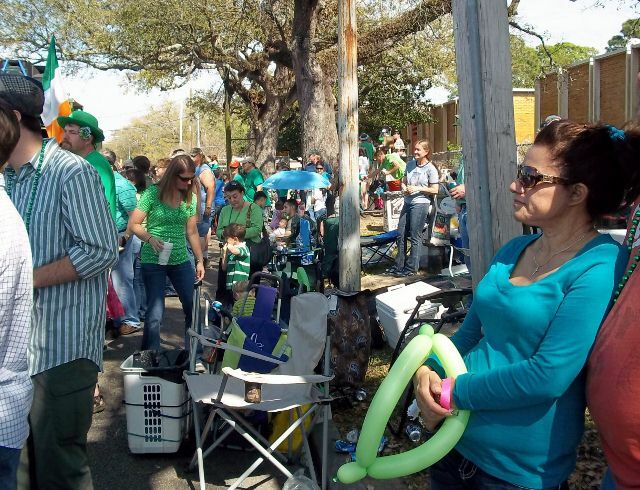 View some more parade scenes while I go check on my corned beef! 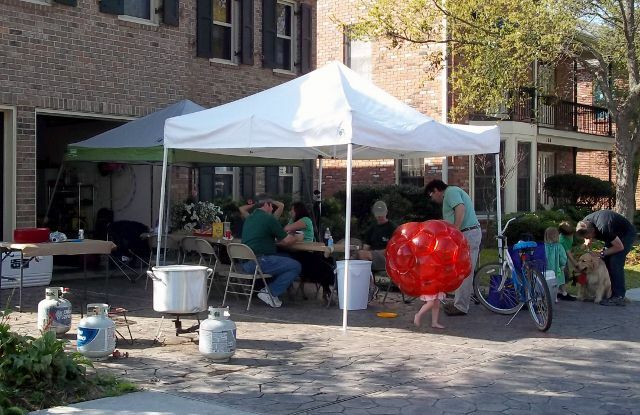 What a cool idea. 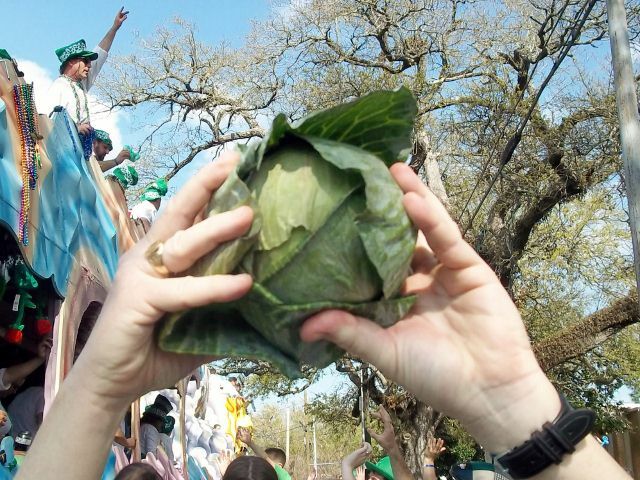 I have never heard of catching food from a parade before! 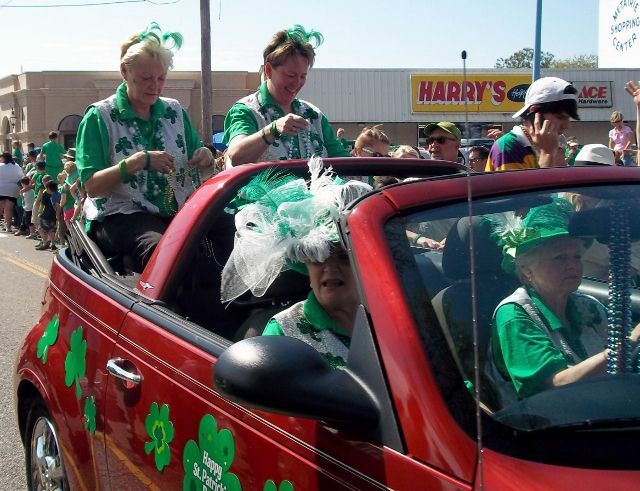 Loved your hydrangea centerpiece, Nancy! 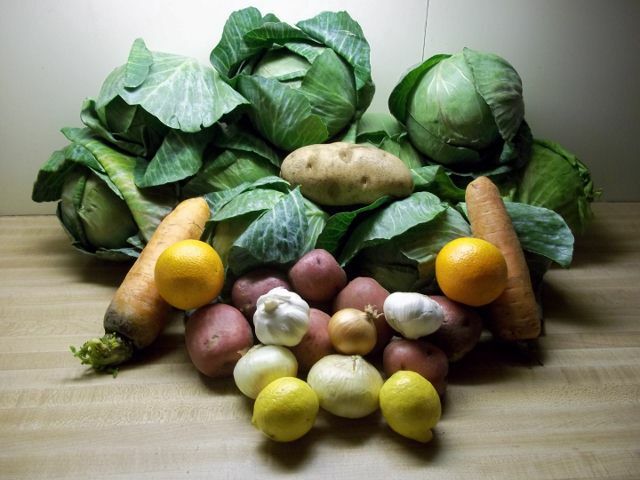 We support our neighbors. 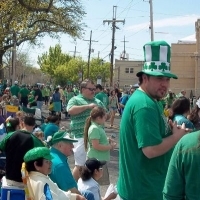 Soooo fun! 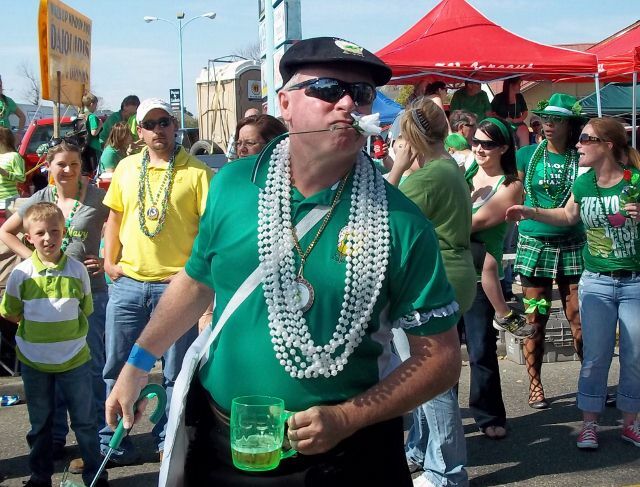 We have one here in BR as well. 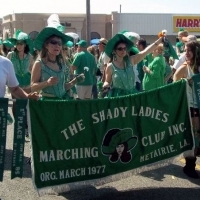 I follow you from Baton Rouge, and would love for you to follow me as well!